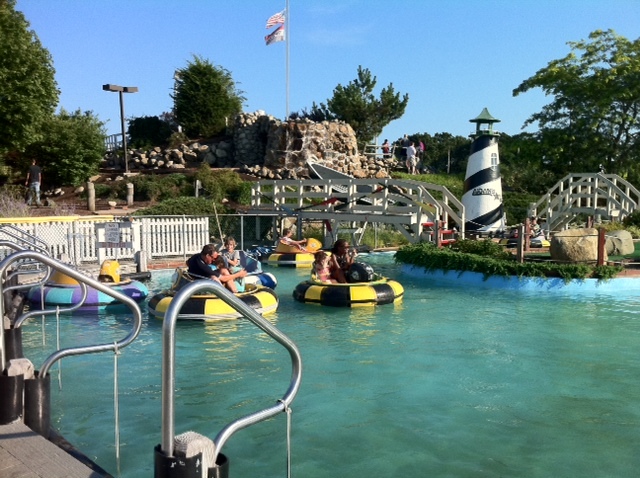 The bumper boats are equipped with water guns for maximum soaking. Apparently it takes a few friends from France and Germany on holiday to help me find the only amusement park in Rhode Island. Granted, it is small — I’ve passed it dozens of times and never even noticed the sign. That, and I’ve never gone looking for go-karts, although having since ridden one, I can tell you that’s no longer true. 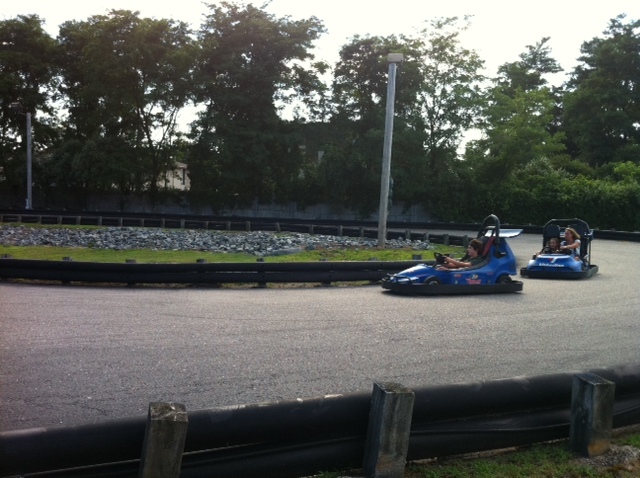 Go-karts speed around the track. At Adventureland, there are batting cages, go-karts, bumper boats, a carousel, and a 18-hole mini-golf course. Madeline and I rode a go-kart together since she’s too short (under 44 inches) to ride herself. We picked a car with two steering wheels, and I double-checked to make sure mine was the working one before getting started. I did notice that the double go-karts appeared rigged to go a slower — even though we started in the front and had petal to the metal, some over 44-inch tall kids traveling alone passed us.